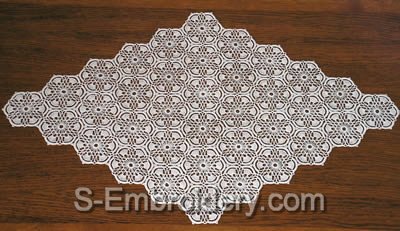 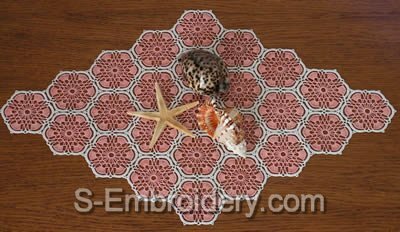 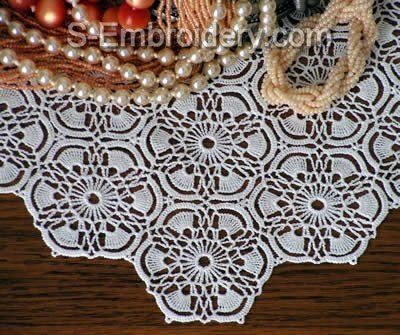 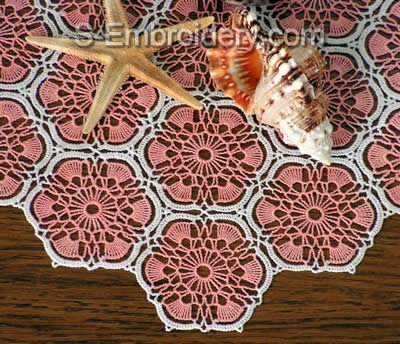 This beautiful freestanding table lace crochet machine embroidery design will let you create a doily or table runner with the size you need. 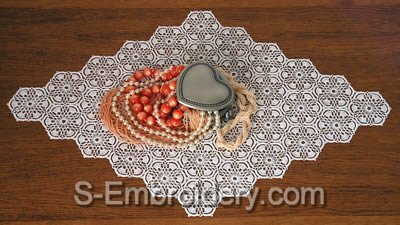 It is delivered in 2 versions - one is mono color and the other - two-color. 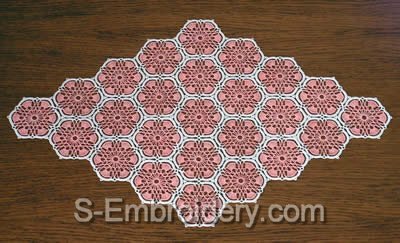 You receive 2 machine embroidery files and a PDF file with design information and instructions.